Maca is a root plant that grows in the Peruvian Andes at altitudes of over 4000 metres, in harsh conditions where few other plants can survive. It has been part of local diets for millennia. Legend says that Inca warriors would take Maca before battles, to improve fighting spirit. Maca powder is produced with minimal processing. After harvesting, the Maca roots are slowly air dried and then milled into powder. Maca is high in Copper, which contributes to the maintenance of mental health. It is also high in Vitamin C, which helps support the immune system. 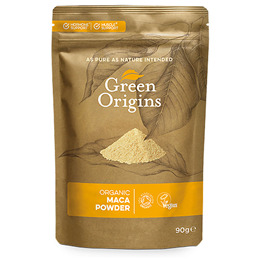 Organic raw Maca powder from Peru. Take 1-2 teaspoons per day, mixed with juice or a smoothie. Alternatively, sprinkle on or add to food. Start with a smaller serving and increase gradually. 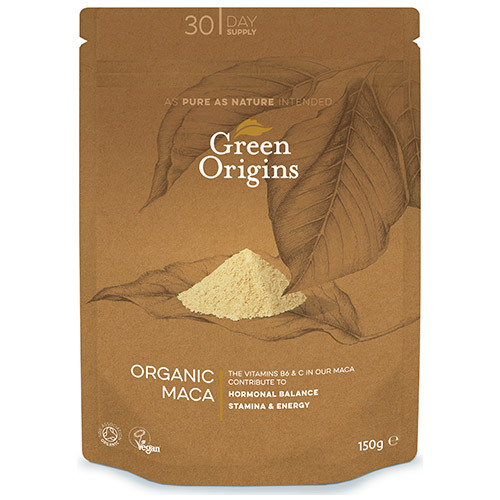 Below are reviews of Green Origins Organic Maca Powder - 150g by bodykind customers. If you have tried this product we'd love to hear what you think so please leave a review.